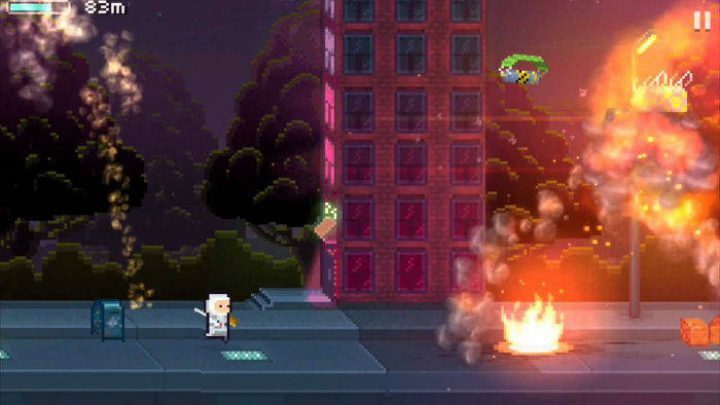 A new interesting game released on the App Store is Lastronaut. It is a pretty good endless runner with a distinct “Pixel Art” style. And wherever this game differs from actual iOS game gambling, is that it will be truly and fully free. It will be without any ad, nor in-app purchase, nor small clever method. Lastronaut is guaranteed to be commercial-free, invasive or non-invasive ads, and does not contain any integrated purchase. As you play, you will not be blocked at any moment of the game, which would require that you contribute for a small amount of money to move on (a small amount which become fast a large amount as purchases are made). Lastronaut is totally devoid of it. This is really a free game and not a so-called free game AT FIRST… Its designers developped it with a mind void of any financial thoughts and say about Lastronaut : “a declaration of love to the video game“. Worthy intention if sincere. This declaration and the game will without any doubt rejoice a large numbers of iOS users on the App Store who complain often, and with good reason, about the presumed free aspect of many games proposed on iTunes Store, but often a window gratuity. This complaint has otherwise prompted Apple to promote paid-for games which dit not contain any in-app purchase by creating the Pay Once & Play category. As we can see in this official trailer, Lastronaut is a free game that is not to be missed. It was released on 5 March 2015. It will be great if Apple created a new category that we can call Pay Nothing & Play where Lastronaute will be a pioneer as well as all other similar games that will come thereafter.